New tax deductions - how can you get the biggest refund this year? 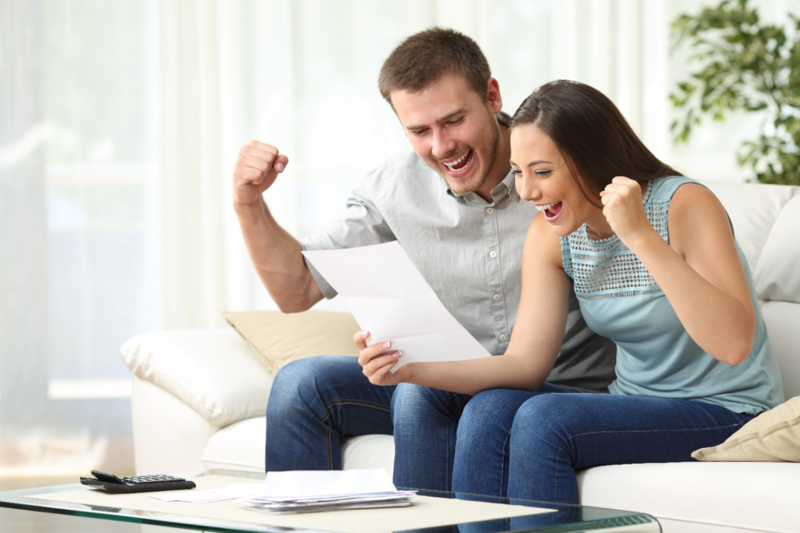 Figuring out how to get the best tax refund is never easy, but these five new tax deductions will help you get the biggest refund possible in 2019! Now that the sweeping changes made by the Tax Cuts and Jobs Act (TCJA) of 2017 are in effect, many of the deductions you may have relied on in the past have disappeared or been significantly changed. The average amount of tax refunds is just $1,865so far this year, an 8.4% drop from 2017’s average of $2,035, according to data from the IRS. Fortunately, there are some new tax deductions and credits that you may be able to claim. Check out these five updated or new tax deductions and credits to find out how much they could boost your refund! One of the biggest tax changes for 2019 is the elimination of personal exemptions. To compensate, the GOP Tax Reform bill nearly doubled the standard deduction. About 70% of households took the standard deduction in recent years (according to the Motley Fool), and odds are good that many more will in 2019. The new amounts are $12,000 if you are single or married filing separately; $18,000 for Head of Household, and $24,000 for joint filers and surviving spouses. If you are 65 or older, you qualify for an additional $1600 deduction if single or $1300 if married. This new tax deduction is great news for freelancers and small business owners. If you have income from a pass-through entity such as a sole proprietorship, partnership, or S-corporation, you may be eligible for a tax deduction equal to 20% of your qualified business income (QBI). This will help make up for the entertainment deduction you lost this year, as well as the decreased meal deduction (which has been cut in half).Figuring out QBI can be tricky, and there are income limits in place for "specified service businesses," so you may want to seek professional help to make sure you qualify. The rules for claiming a home office deduction are stricter than in the past, but if you are self-employed and work from home, you may qualify for this deduction. The space in your home must be used exclusively for work, and it must be your principal place of business or an area you regularly use for client meetings. Once you figure out the percentage of your home that counts as your office, make sure you deduct that percentage of associated home expenses such as utilities and home insurance, as well as repairs and maintenance. You also can deduct some of the costs that are necessary for you to work, such as a dedicated office phone line if you have one. If you have one or more children who were 16 or younger for the entirety of 2018, we’ve got good news: the Child Tax Credit has been doubled, so you can claim a $2,000 credit per child this year. It is important to note that this is a tax credit, which is better than a deduction: while a deduction reduces the amount of your income that is taxed, a tax credit is directly subtracted from your tax bill. If you have a dependent who is older than 17 (such as an aged parent or older child), you can claim a new $500 family credit. The income phase-out limit has been drastically increased, jumping from the old $110,000 threshold, to AGI above $400,000. As you are figuring out how to get the best tax refund for 2019, make sure you subtract your medical expenses. This isn’t a new deduction, but the GOP tax bill supercharged it for 2017 and 2018. You can deduct qualified medical expenses that exceed 7.5% of your AGI (adjusted gross income) for 2018. The threshold will increase to 10% next year, so take full advantage of this tax break while you can! If you would like help understanding the new tax return deductions or other financial issues, reach out to skilled financial planner Matt Logan at www.mattloganinc.com or call 336-540-9700.